We have plenty today right here at Mount Greylock campgrounds. 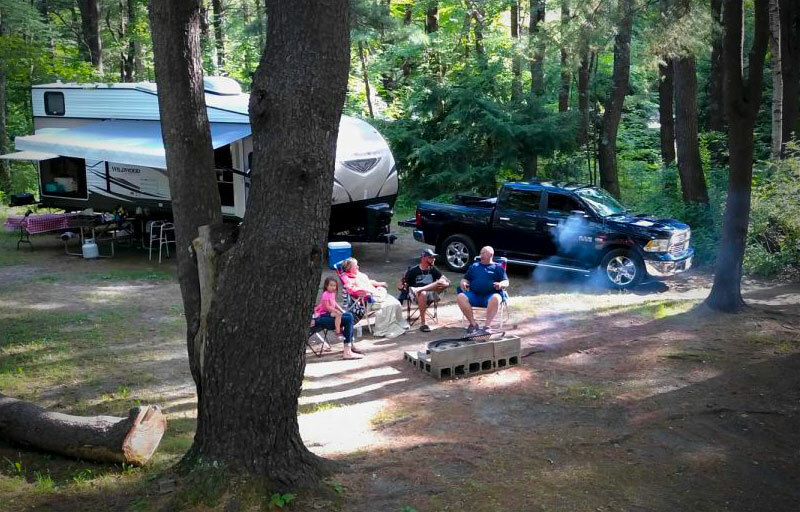 Relax at your campsite, visit with friends and family and roast marshmallows! All sites have a picnic table, fire ring, and plenty of room to enjoy the outdoors. You also have access to Wifi to download your favorite movie, check your email, skype with family, or even work if needed. Visit the Rec Hall to play board games, ping pong, air hockey, foosball, and pool. We also have a big screen TV so you can catch your favorite shows or sporting events. Heated swimming pool is open from 10 am to 8 pm daily. Play horseshoes, volleyball and/or shoot some baskets. Special programs for children and families on Saturday. Learn to make homemade firestarters, chocolate candy gifts, cook in a dutch oven over a campfire, play BINGO, go on a hay wagon ride, join us for coffee on the deck on Sunday morning and more! Check our activity schedule posted throughout the campground. Planned weekend activities include local bands on holiday weekends and campfires. Check out the calendar of events below. All are free to campers or open to public for a cover charge. Fishing pond (catch and release) is stocked with fresh water fish. We have fishing poles to lend to kids! A tradition at the Campground, we will have many Halloween activities including a haunted hayride, trick-or-treating, and story telling by the fire. Bring some candy to hand out over the weekend. Our final concert at Mt. Greylock Campsite Park. Open to the Public with a $5 cover charge. Bring food, drink, and chairs. Free for camping guests. Our Final Weekend for 2018. We will have some special events to celebrate a wonderful year.